The Citizen’s Elder Advocate Support Enterprise is a grassroots, nonprofit enterprise based in the Pacific Northwest US. Our mission is to assist in the education and promotion of individual vulnerable-person advocates and likeminded grassroots advocacy organizations. An additional focus of CEASE is to provide educational resources to support the vulnerable person and their affected family members to effectively navigate the complex and often manipulated family court or probate system, as well as strengthen the integrity of the courts by networking with other advocate agencies to promote vulnerable person legislation and greater attorney & judicial accountability. CEASE advocates are not attorneys and do not offer legal advice or counsel. CEASE advocates are victims, family members of victims or friends of persons whom have been physical, financially, emotionally abused, and directly damaged by professional negligence, malpractice and intentional financial exploitation. Founded in March of 2017, as a means to assist victims, damaged by negligent or unethical attorneys (attorneys who do not follow the ABA Model rules, Rules of Civil procedure, etc. ), guardians, conservators, bankers, primary care providers, accountants, investment managers, physicians, and health care provider’s ethical misconduct. 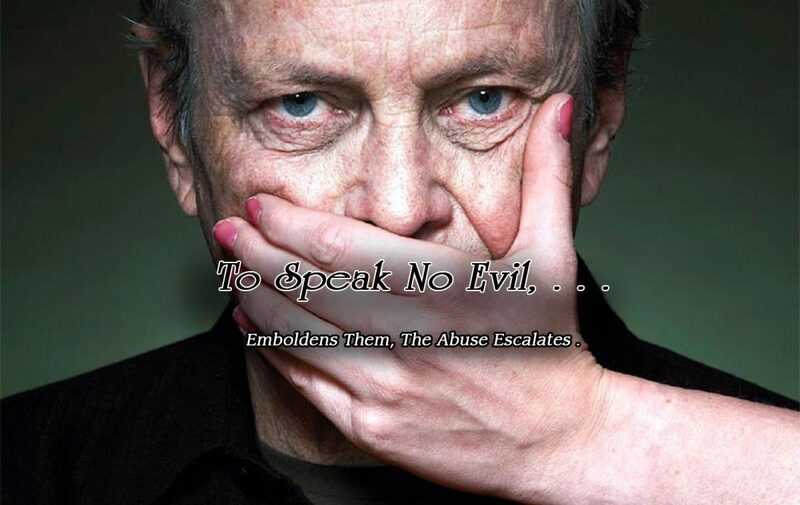 CEASE provides educational resources, evidence sharing platforms and shared experiences to aid individuals and families acquire experienced-based knowledge to empower those whom need to assist elder abuse victims, family court litigants and vulnerable persons damaged by the collusion of corrupt white-collar professionals. As a collective of common-focused advocates we also work with other nonprofits to expose the systemic failures in the adversarial litigant system that often fails to police itself and the courts via the standards set for by the American Bar Association Model Rules and Judicial Canon rules, while simultaneously providing a conduit for educating the media, state & federal lawmakers, and the public about repeating case violation patterns and the need for major system reform to stop the epidemic of vulnerable person exploitation, professional negligence and abuse. The core objective of CEASE is to provide educational resources to support the vulnerable person and their affected family members. This can include the best way to manage various professionals in the family court system, educate the vulnerable person to the predatory risks of unethical professionals and unscrupulous family or friends that may take advantage of a vulnerable person’s circumstances. This is often achieved by enforcing that offending professionals live up to the best practices standards set forth by the State and ethical codes of their profession. A CEASE advocate is not an attorney nor does CEASE provide any legal advice or consultation. The enterprises strength is rooted in its unique mix of victim advocacy, technology, public education, media rich reciprocally branded social media campaigns and legislative advocacy. Our ability to expose professional negligence, misconduct, malpractice and related failures and push for judicial accountability through the media has connected us with court survivors and lawmakers, who in turn have driven meaningful Bar complaint review, effective attorney discipline and state policy reforms of the judiciary. Elder abuse, exploitation and negligence is so wide spread it has been characterized as an epidemic. Every State is now mandated to protect the elderly and has laws in place to address elder citizen a use, exploitation, negligence, and failure to report these circumstances. As an example, Idaho ranked 8th from the bottom of the states with the worst elder protection statutes (Wallet Hub Study) vulnerable person statute is IC 18-1505. Idaho’s northwest border, Washington state, on the other hand, has a marked increased standard to protect vulnerable persons. As an example; undue influence protection should be a requirement coded directly into every state’s legal statutes. CEASE is aims to protect the rights of the elderly and vulnerable persons whom are going through estate planning, guardianship and/ or conservatorship legal processes. For this fact the enterprise was founded to promote best geriatric care, elder law, guardianship, conservatorship and estate planning practices. This includes a five-point plan of action – 1) information gathering, 2) education, 3) collaboration, 4) implementation and 5) citizen review. The CEASE advocate collective works to gather information and educate the community, the media and policymakers at all levels about the estate planners, guardianship attorneys, probate-magistrate courts, judicial issues and best practices, as well as the dire need for attorney accountability with colleague, State Bar and judicial oversight committees; since the legal profession is one of the very few professions that regulates itself, or in practicum is required to regulate itself. Unfortunately for the public, the unwritten code amongst attorneys is that it is professional suicide to report unethical attorney to the State Bar. The State Bar itself, in most states is governed by “the fraternal brotherhood of attorneys” so legitimate ethics complaints from those damaged by malpractice are often dismissed.